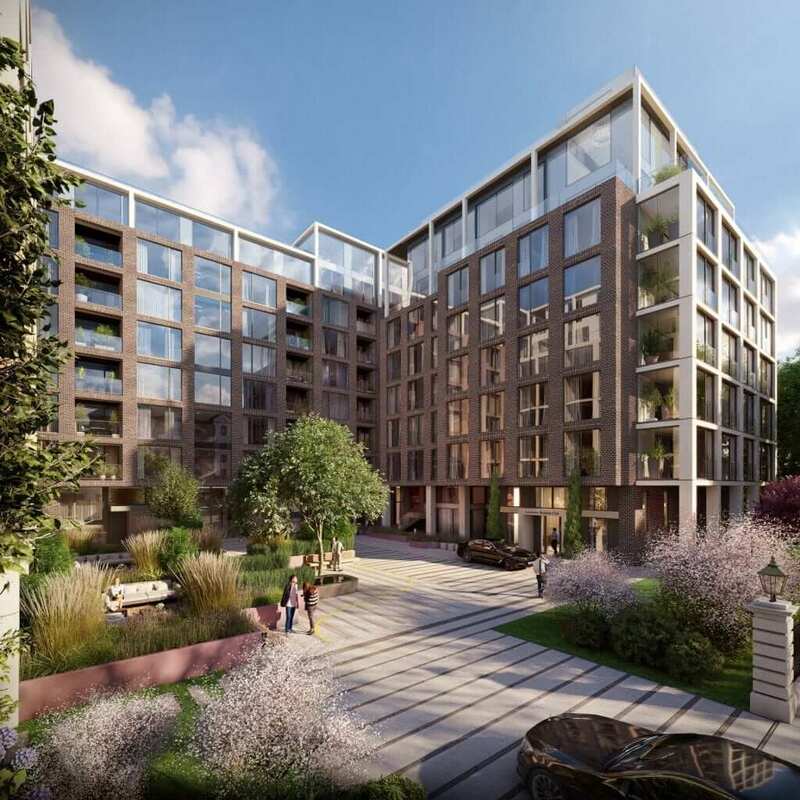 Following a competitive tendering process, JJ Rhatigan & Company has been appointed as the main contractor for the construction of Chartered Land’s luxury residential development on the site of the former Berkeley (Clyde) Court Hotel in Ballsbridge. Site preparation works are currently underway, with initial construction work on the basement car park due to start during September. Chartered Land’s vision for this unique site is to create a prestigious development in Dublin’s most sought after residential address. 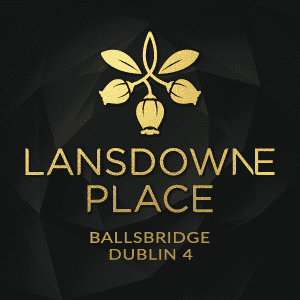 Approximately 200 exclusive apartments will be created in a pavilion-style development on Lansdowne Road, in the heart of Ballsbridge. 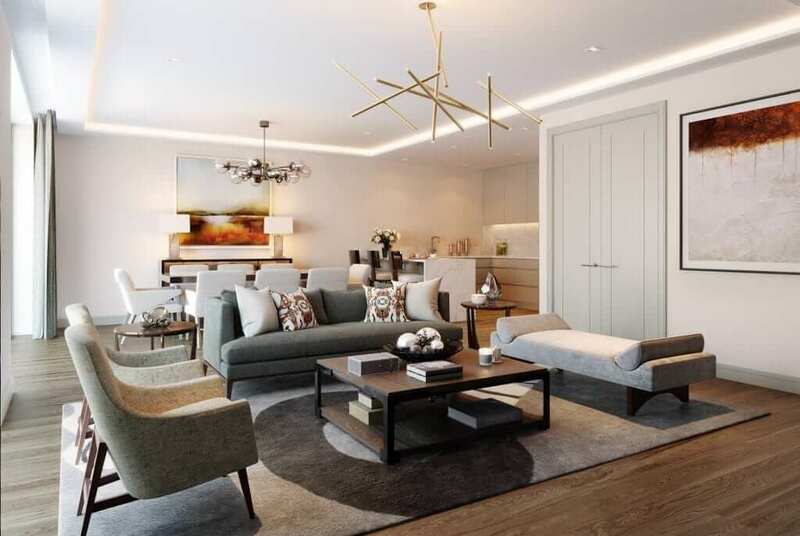 These apartments will be built to the highest international standards, consistent with the premium quality for which Chartered Land is renowned. They are expected to come to market in Spring 2017. The impressive mature boundary trees and iron railings along Lansdowne Road dating back to the mid-1800s are being retained, ensuring the continuance of the sylvan setting. These continue the historical legacy of the use of the site as the Trinity College Botanical Gardens from 1806 until the 1960s when The Jurys Hotel and Berkeley Court Hotel were developed. Chartered Land is developing the site generally in accordance with the ten-year master planning permission granted in 2011. A number of recent planning modifications have been made which make the scheme more efficient. However the overall height and mass of the scheme as originally granted remain intact. During the construction period, in excess of 500 jobs will be created. Chartered Land is a leading Irish property company with a well-regarded track record for developments of quality and scale, most notably Dundrum Town Centre. Established in Galway in 1952, JJ Rhatigan & Company is a leading Irish building contractor, with offices in Dublin, London, Galway, Sligo and Cork. With over 60 years’ experience, JJ Rhatigan & Company has established itself amongst the top building companies delivering high quality, sustainable construction projects across a range of sectors including residential, commercial, retail, hotel/leisure, industrial, healthcare, and municipal. Its portfolio spans from traditional building contracts, new builds, fit out and renovations, to the design and build of large scale landmark developments. Projects include Heuston South Quarter, NUI Galway IT building, Crumlin Hospital (Phase 2), Radisson SAS Golden Lane, Athlone Town Centre and Bon Secours Expansion in Galway. JJ Rhatigan & Company has also worked on a number of recent residential developments in Dublin including The Grange, Wyckham Point in Dundrum and St. Edmunds near Liffey Valley. JJ Rhatigan & Company has won many awards in recognition of its standards including Contractor of the Year at the 2016 Irish Building & Design Awards and Sustainable Project of the Year for the NUI Galway Life Course Studies Building at the same awards in 2015.